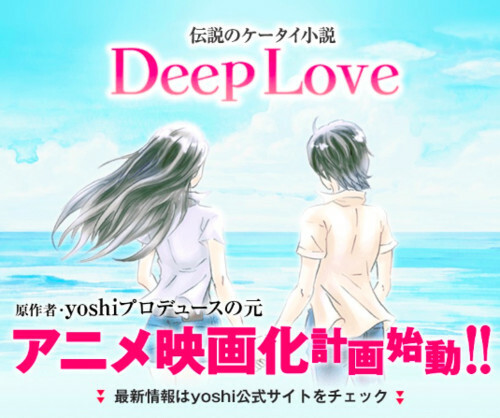 The prologue chapter of Yoshi and Meira Hisaka’s Deep Love Again manga, a new manga adaptation based on Yoshi ‘s famed Deep Love cell phone novel series, revealed on Sunday that a project has launched to adapt the novels in to an anime film. Yoshi launched the tragic cell phone novel series in 2000. Starts Publishing published the series in print between 2002-2003. The novel series has four main story arcs. The first story arc centres on Ayu, a 17-year-old high school student who is also a prostitute. Ayu loves no one and is loved by no one. She has forgotten how to smile and cry and believes there is no meaning to her life. One day, a chance meeting changes her life, and Ayu slowly starts to take back her heart and is able to find love. The novels inspired a live-action film adaptation in 2004 and two live-action television series in 2004 and 2005. 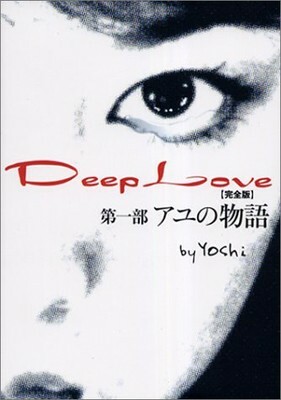 Yū Yoshii drew the two-volume Deep Love: Ayu no Monogatari manga, the two-volume Deep Love: Host manga, and the one-volume Deep Love: Reina no Unmei manga. Akiyo Kurosawa drew the two-volume Deep Love: Pao no Monogatari manga, and Tetsu drew the 19-volume Deep Love: Real manga. The Deep Love Again manga launched on the Comic Days app on Sunday, and the prologue and first chapter are available now, although only the prologue chapter is available for free. The manga is a sequel series that follows Yoshiyuki and Reina after they meet a single mother named Kaede who looks like Ayu. The novels have more than 2.7 million copies in print, and the novels plus manga have more than 8.4 million copies in print.